When artist and then Assistant Director of the Art Gallery of NSW Tony Tuckson curated the first national touring exhibition of Aboriginal art in 1960, it was widely believed to be a landmark exhibition. The exhibition symbolised a shift in Australia’s perception of Aboriginal art from ethnographica to the status of fine art. “Aboriginal art is at the core of the understanding of Australian art now, and this exhibition was instrumental to the transformation,” Honorary Associate Professor at UNSW Art & Design Dr Catherine De Lorenzo says. That Australia has somehow learnt to accept Aboriginal art as being Australian and able to be shown in lots of different contexts is partly due to the skill of the curators of exhibitions to alter perception. The role of art exhibitions and curators in shaping Australian culture is the focus of a pioneering new book, Australian Art Exhibitions: Opening Our Eyes. 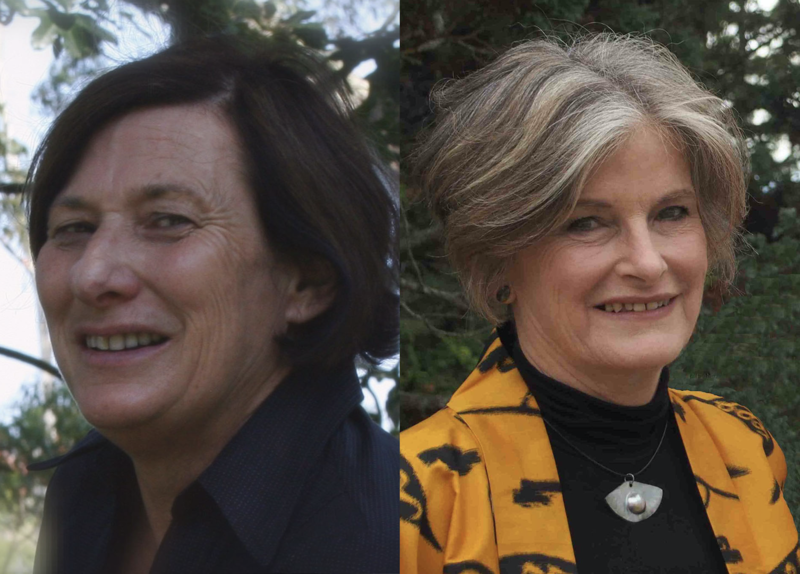 The book was written by four authors associated with four universities from three states, including two from UNSW – Honorary UNSW Associate Professors Joanna Mendelssohn and De Lorenzo, along with Associate Professor Alison Inglis of the University of Melbourne and Professor Catherine Speck from the University of Adelaide. Largely funded by an Australian Research Council (ARC) Linkage Project in conjunction with five art museums, the book was six years in the making and was only made possible after a grant from the Gordon Darling Foundation. The authors argue that the book differentiates itself from previous art history books by examining art exhibitions in publicly owned art museums and art galleries from the period 1960 to 2017. “We thought that taking a history of art that looked at curated exhibitions would bring in some new perspectives, and I think that was a correct assumption,” Dr De Lorenzo says. “As a result, we have produced a history that weaves the changing understandings of Aboriginal art, the transformation of Australia away from a purely Anglophile perspective, reassessments of the position of women, the power of photography and the significance of centres outside the Sydney/Melbourne axis,” Dr Mendelssohn says. The authors say that exhibitions often start where written histories have stopped or explore the artists left out of earlier narratives; they can challenge what is shown in art museums; and they can extend our art historical knowledge. For example, the most important work in the Biennale of Sydney held during the Bicentennial year in 1988 was the Aboriginal Memorial – 200 hollow log coffins from Central Arnhem – which commemorate all the Indigenous people who, since 1788, have lost their lives defending their land. “This community … wanted us to know that colonialism was even worse than we could possibly imagine,” Dr De Lorenzo says. “And it’s taken quite a long time for that to be easily shown and named in quantities in gallery spaces. Honorary Associate Professors at UNSW Art & Design, Dr Joanna Mendelssohn (left) and Dr Catherine De Lorenzo (right). The authors also point to With Secrecy and Dispatch, a 2016 exhibition which marked the 200th anniversary of the Appin massacre, the first government-authorised massacre of Aboriginal people, ordered by Governor Macquarie. The exhibition was curated by UNSW Director of Indigenous Programs Tess Allas, and a First Nations artist from Canada, David Garneau, and presented at Campbelltown Arts Centre in 2016. It made the massacre more widely known. “That’s the wonderful thing with exhibitions – they tell stories like nothing else ever can,” Dr Mendelssohn says. Australians’ ability to deal with challenging topics was also evident in Absence of Evidence, an exhibition on women and madness held at the Fremantle Arts Centre in 1994. “It was about women driven mad and locked up in the building that is now the Fremantle Arts Centre, which was formerly seen as a lunatic asylum because they [the women] didn’t want to fit domestic norms,” Dr Mendelssohn says. One powerful influence on art exhibitions that the book discusses has been the effect of the dramatic injection of funding in the 1970s, or ‘the lucky break’, as Dr De Lorenzo describes it. “[The book is] partly like a love letter to curators who’ve done so much and the institutions that have changed so much, but you also can’t do this without well-directed money,” Dr Mendelssohn says. The funding boost coincided with the first exhibitions to feature women artists and with the start of the women’s art movement. In the 1970s Daniel Thomas from the Art Gallery of NSW curated the first Grace Cossington Smith exhibition and the first Grace Crowley exhibition, and Ian North of the Art Gallery of South Australia curated the Dorrit Black exhibition. 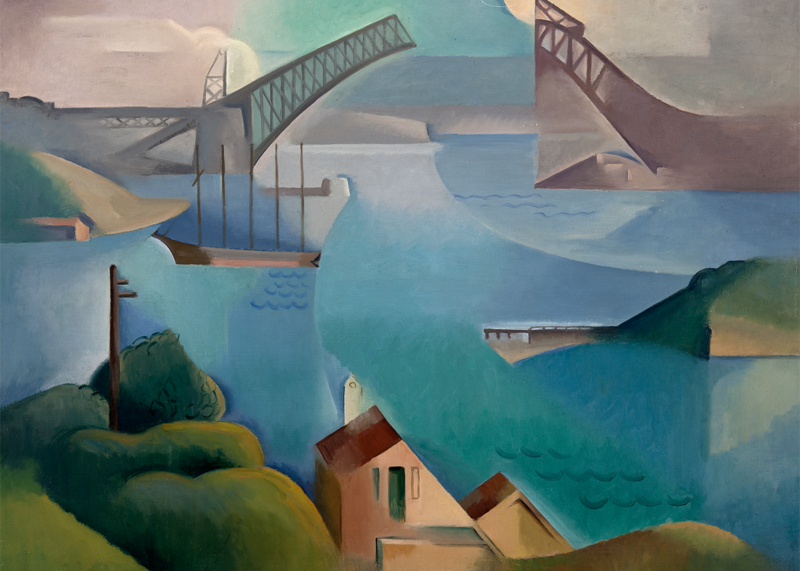 The Bridge by Dorrit Black, 1930. Credit: Art Gallery of South Australia, Adelaide. “While people were assuming these exhibitions were happening because they were feminists, they weren’t,” Dr Mendelssohn says. A sign of the times was Dark Heart, the 13th Adelaide Biennale, curated by Nick Mitzevich in 2014. The authors say the exhibition “saw art as a pathway for exploring the national psyche”. “It’s the first exhibition that looked at this ghastly mood that was over the country when Tony Abbott was prime minister,” Dr Mendelssohn says. It featured Tony Albert’s photograph ‘Love is better than hate’; Ben Quilty’s painting of an idyllic Tasmanian scene (“which just happens to be where a major massacre took place”, Dr Mendelssohn says); and Alex Seton’s sculpture of 28 lifejackets in ‘Someone died trying to have a life like mine’, about the experience of asylum seekers. Australian curatorship is also continually changing, and now there is an increasing use of collaborative relationships for greater impact. The authors point to Songlines: Tracking the Seven Sisters, which was held at the National Museum of Australia in 2017, as a key example of the important effect of collaboration. The Songlines exhibition was an initiative of the Anangu people who collaborated with people from the Martu, Pitjantjatjara Yankunytjatjara and Ngaanyatjarra lands to share one of the great songlines (or ‘Dreamings’). The exhibition described the narrative of seven sisters who were pursued across the land and into the sky by a lascivious shape-shifting man, and told the story with the help of art, film and installations. “It wasn’t a case of the institution imposing its curatorial model onto the artists. It was the artists and Elders working with the institution so that those stories would be preserved visually,” Dr Mendelssohn says. The authors claim the Songlines exhibition “is a reminder of the importance of revisiting and rethinking ways of seeing art, history, geography and gender in an ever-changing world”.